Natural Woven Bamboo Shades are made by hand in our workrooms from soft woods such as grass, bamboo, reeds, and rattan etc. 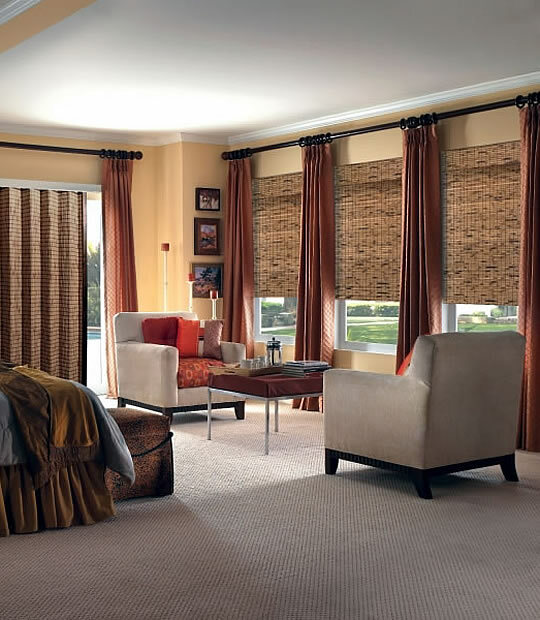 To finish off the look of elegance, our expert craftsmen give these shades a standard look with an attached matching valance so that you could get much more control of getting light into your room and at the same time maintain privacy for your room. 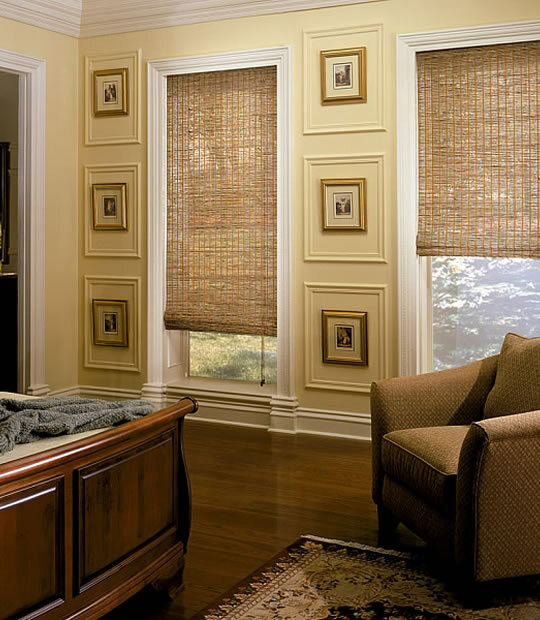 Our Bamboo Woven shades are perfect to fit any décor. Meticulously woven for varying degrees of light filtration, select from a full range of privacy weaves or open weaves. 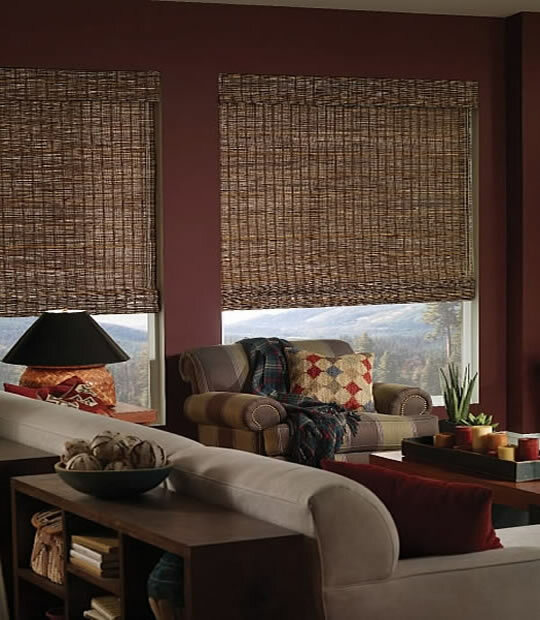 Raise and lower these matchstick shades also called matchstick blinds or bamboo shades in one smooth easy motion. Rich in character! Natural woven woods combine clean lines and textural interest in designer finishes. 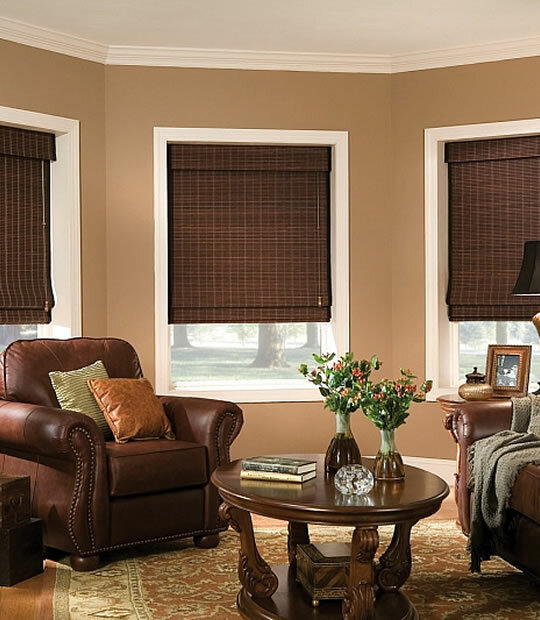 The effect is a warm, inviting, and naturally beautiful window covering. We carry a very large assortment of the most popular colors and textures and styles. Consider the popular top down/bottom up or just the bottom up style. 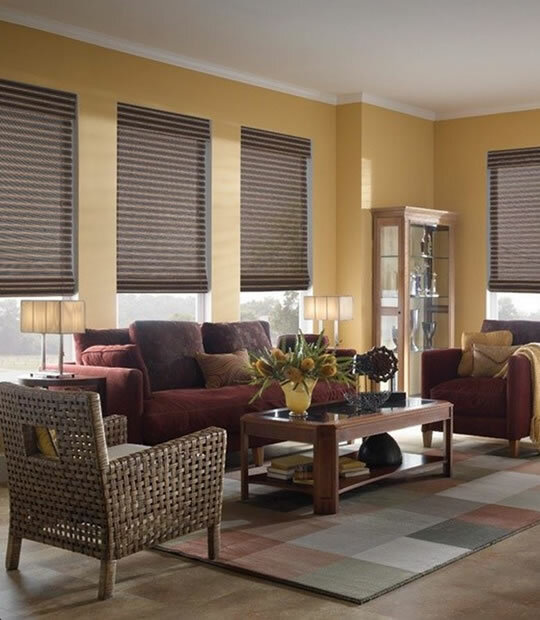 Bamboo shades brings the outdoors in for a natural look.